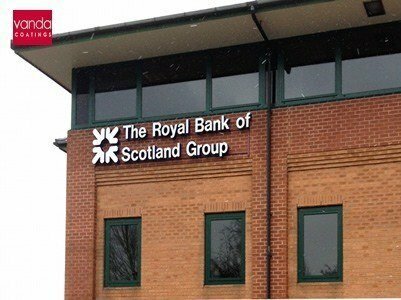 Vanda Coatings recently carried out the re-coating of the existing windows at the RBS offices in Bolton. We liaised with the client closely to avoid any disruption in the normal opening hours of the office. Our operatives worked from pickers to access the areas. They all hold IPAF certificates and are trained in working at height. The project was co-ordinated by our contracts manager and we finished the site a week early, much to our client’s delight.